Here are the final broadcast ratings for April 27, 2018. Over on CBS, 'MacGyver' (0.7) inched down from last week. 'Hawaii Five-0' (0.9) and 'Blue Bloods' (0.8) remained steady. 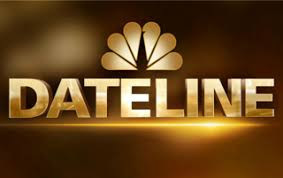 NBC had a steady 'Blindspot' (0.5) and two hours of 'Dateline' (0.6/0.7). ABC's 'Once Upon a Time' (0.5) ticked up from last week. But, 'SHIELD' (0.4) and '20/20' (0.4) were flat. FOX's NFL Draft (0.6/0.6/0.5) did relatively poorly. It performed lower than an average episode of 'MasterChef Junior'. After hitting the dreadful 0.1, 'Dynasty' (0.2) ticked up. But, that didn't stop 'Life Sentence' (0.1) from garnering that rating at 9.